Why not just teach them English? At a Good Friday service in 1980, Leonard Bolioki stepped to the front of the church he attended in Cameroon and began to read the story of Jesus’ crucifixion. Before, this passage from John’s Gospel had always been read in French, the trade language of Cameroon, but this time the priest had asked Leonard to read it from the newly translated passage in the local language, Yambetta. Leonard pulled out his French New Testament and showed them that the story was in the Bible. “We listen to this Passion Story every year during Holy Week,” he told them, but they insisted that they’d never heard it before. That instance, Leonard says, is what motivated him to translate the Scriptures into the only language his people could really understand—Yambetta! The Bible tells us that there will be believers from “all languages” and “all peoples,” and commands us to make disciples of “all nations,” not just those in the majority. Scripture is replete with examples of how God meets us where we are and communicates to us in the language and culture we understand best. No human language or culture is supreme, and there is no human language or culture God cannot communicate in. God gave his Word to the Hebrews in Hebrew, to Arameans in Aramaic, to the Greeks in Greek, and to all who were present at Pentecost in their own language. If it’s a good enough strategy for God, it’ll work for us! There was once an island, on which the people had a Bible, but it was in a language that only the educated people could understand. Then a man came and translated the Bible into the local language. The government at this time permitted the Bible, but only in their original translation. As soon as the Bible was available in the local language, the leaders feared what this would do to their power over the people. They declared this new translation illegal and burned every Bible and killed every translator, every printer, every user of the Bible that they could find. But God was with our Brothers and Sisters on that island, and He changed the hearts of the government. Finally, after many generations, the Bible was now not only available, but also legal. Brothers and Sisters, you and I are living proof of the impact of God’s word in our heart language, English. We have been blessed to have God’s Word in our heart language for over 600 years since the first translation by John Wycliffe, and over 400 years since the translation of the King James Version. What a blessing that our ancestors weren’t satisfied to merely teach us Latin! *I am indebted to Tiffany Archer, a fellow Wycliffe member whom we met at Equip, for this illustration. Well, another year has gone by! And since so much has happened, we’d like to give you a recap of how God has been working in our lives in the past year and what we expect God will be doing in the year to come. It’s crazy to think that just a year ago we were in Dallas at the Graduate Institute of Applied Linguistics for a Wycliffe recruiting event called “Taste Of Translation And Linguistics” (aka–TOTAL It Up). We had suspected that God might be calling us into service with Wycliffe, but we honestly didn’t know that much about the organization and we had a thousand questions! Throughout the week, we had the opportunity to hear testimonies from many different Wycliffe missionaries, learn a little about translation and linguistics, and learn about how Wycliffe functions as an organization. Each day our conviction grew that this was where God was calling us to serve. By the end of the week, we had no doubts. We drove home from Dallas as firmly convinced that God was calling us to serve with Wycliffe as we were that we were breathing! 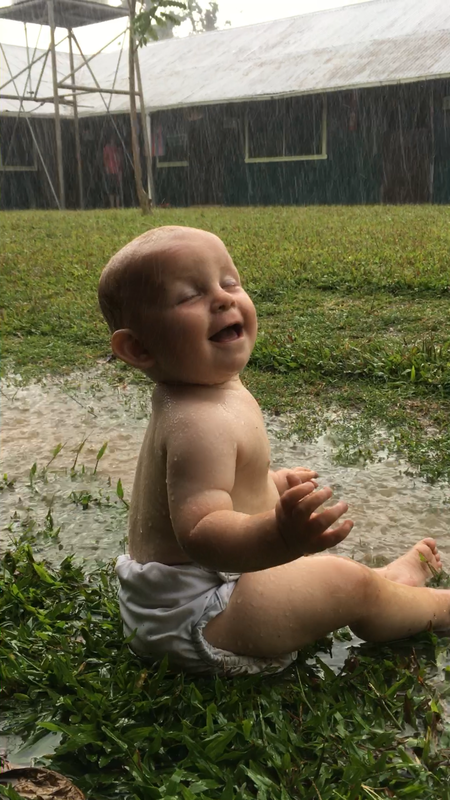 God had finally revealed the next step of his plan for our lives, and we were ecstatic with joy! But there were still a lot of unknowns. 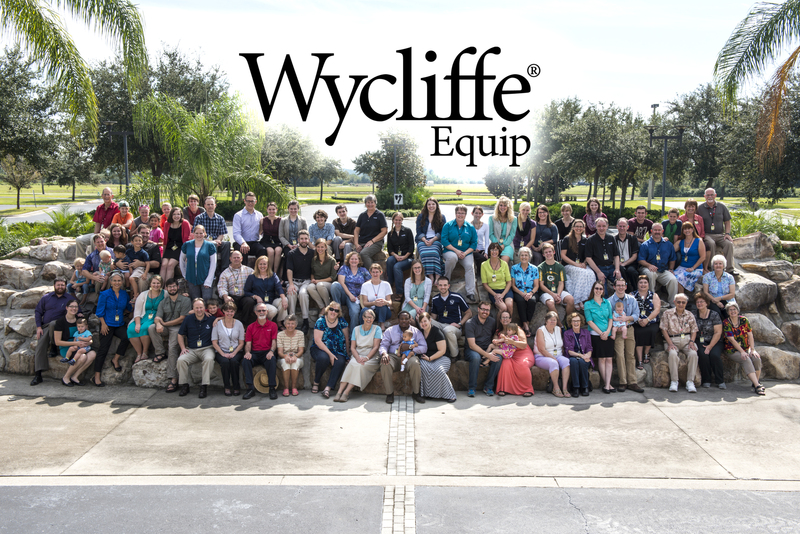 I had felt that God was leading us to join Wycliffe and attend training before the end of the year. But, before we could apply to Wycliffe we had some debt to pay off. I was a contractor, and we were barely surviving the winter on my earnings. How could we ever expect to pay off the thousands that we owed in such a short period of time? And, where in the world did God want us to serve? Were we really qualified to do the task God was calling us for? How do we tell our family that we’re leaving? My mind was swirling with questions about the unknown as we made our drive back to Arkansas. But, I knew without doubt that if God had called us to this ministry, he would provide the means. But things got worse before they got better, and our faith and resolve were tested severely. The next 2-3 months that followed were, financially speaking, the worst of our lives. The winter got worse, nobody seemed interested in home improvement projects, and what few jobs I did get were delayed by the bitter cold, snow, and ice. 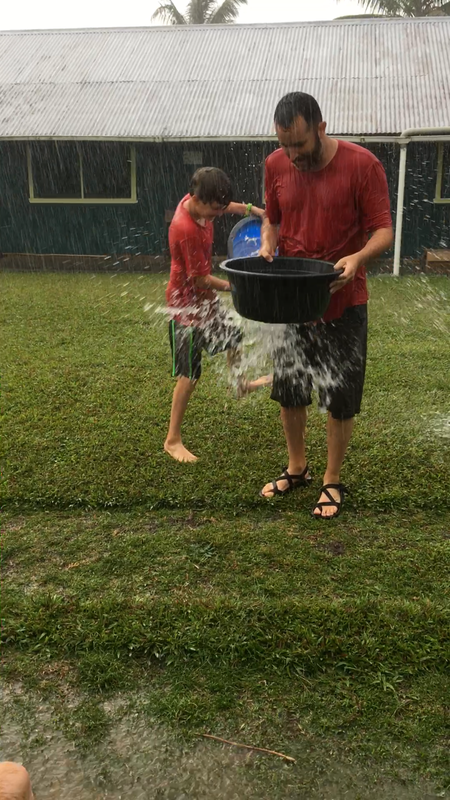 It was the coldest, wettest winter that I can recall in my lifetime. We fell behind on our bills, and paying off debt seemed like a fantasy. So, we prayed…a lot! God answered. Through my quiet time and during sermons at church, my attention was directed over and over to stories such as Abraham’s call in Genesis 12. Abraham, or “Abram” as he was called at the time, was told to “Go from your country, your people and your father’s household to the land I will show you,” and was assured that he would be tremendously blessed. But, before he received the promised blessings, Abraham had to take action. Without knowing all the details–without knowing even what “land” he was supposed to go to!–Abraham had to first pack up and start walking. I realized that God was calling me to take the first step in faith. Knowing that our high rent was partly to blame for our financial difficulties, Jennifer and I knew that moving to a more affordable house was one of the first steps. When our lease was up in April, we moved to a smaller, much more affordable home in Jacksonville and had a big moving sale. God blessed us immensely, and within three months of that move, we had paid off several thousand dollars worth of debt, sold our truck, and applied to Wycliffe! Though we had begun to think it impossible, God arranged everything so that we could complete our training in October as we had originally hoped, and even begin developing our team of ministry partners by the end of the year. As we look forward to the year to come, there’s a lot more change coming! We hope to have fully established our team of ministry partners by May so that we can move in June to Dallas to begin our linguistic training. Throughout the past year, God has showed us over and over that he will guide our steps when we rely upon him and step out in faith where he leads. He always provides. To all of our readers, family, friends, and ministry partners–THANK YOU! You are an encouragement to us and we pray that God will bless you, just as he has blessed us through you. Just for fun–Here’s the year in review of our blog! But in the past few weeks, there have been a couple of responses that have surprised me. After speaking briefly with one lady, I was shocked to hear her reply: “I know you’re not supposed to envy, but I can’t help but wish I could go back to my 20’s and do what you’re doing!“ Another man I spoke with lamented how he’d always wanted to go into missions, but was unable to do so because his wife had left him and remarried, and the mission agency he was interested in wouldn’t accept divorcees. Not long ago, a group of people were getting a tour of the Wycliffe JAARS center for aviation in Waxhaw, North Carolina. The host showed a film and told how the Bible translators were entering a new language group every nine days and publishing a New Testament every 17 days. She told stories of how the translated Word of God had power to transform lives, and in many places was transforming whole communities. At the end of her presentation she asked if there were any questions. An old gentleman stood up in the back of the room. His eyes were brimming with tears. It took him a moment to compose himself so he could speak. As a young Wycliffe member, I’ve had to ponder my response to situations like these. My heart breaks for the old man who finds himself nearing the end of his life only to realize his life has been wasted in vain pursuits. And for the lady who regretfully wishes she had followed a different path in life. And for the man who finds himself thrust into a position where he is disqualified for the ministry he longs for. What can you say? If you’re reading this, then you’re life is not over. You may have regrets and you may wish you had spent your life differently. But if you’re still breathing, then God has a purpose for your life. Perhaps God will enable you to give more generously than you ever thought possible. Perhaps he will lead you to be a prayer warrior like Joshua, whose prayer for the sun to stand still in Joshua 10 was granted! Or, perhaps God will lead you to pack up your bags at the ripe old age of 85 and move overseas! Regardless, when God reveals something worth giving your life for, then give your life for it. Charge the hill for Jesus.